Two members of the SpartanNash Company's Board of Directors have been named to the Savoy MagazinePower 300: 2016 Most Influential Black Corporate Directors listing. Maj. Gen. (Ret.) Hawthorne L. "Peet" Proctor and Yvonne R. Jackson have served as directors on the SpartanNash Board since its inception, following the Spartan Stores and Nash Finch Company merger in 2013. They are being recognized along with other African-American executives, influencers and achievers – including Richard Parsons, former CEO of Time Warner, and Gen. (Ret.) Colin L. Powell – on the Savoy Summer issue's Power 300. "We are fortunate to have such fantastic Corporate Directors who are an incredible resource to our Company and instrumental in SpartanNash achieving its vision to be a best in class business that feels local, where relationships matter," said Dennis Eidson, SpartanNash President, CEO, and Chairman of the Board of Directors. Each director's unique background and talents expand our perspective and foster our innovation. Yvonne and Peet's inclusion on this elite list certainly makes that point. We are honored to have them on our Board and are pleased that their accomplishments have been recognized by their inclusion in Savoy Magazine 2016's Most Influential Black Corporate Directors." Jackson was appointed to the Spartan Stores Board of Directors in October 2010 and continues to serve on the SpartanNash Board. She is the president and principal of BeecherJackson, Inc., a human resources management consulting firm she co-founded in 2006. With more than 30 years of experience in human resources, Jackson's skills enable her to assist the SpartanNash Board in its deliberations regarding succession planning, compensation and benefits, change management, talent management, organizational management and diversity strategies. Read Jackson's full Savoy profile: http://savoynetwork.com/mibcd2016/yvonne-r-jackson/. Proctor was appointed to the Nash Finch Board of Directors in 2007 and continues to serve on the SpartanNash Board. He draws on his extensive military career, including serving as the 46th Quartermaster General of the United States Army. SpartanNash's MDV military division is the leading distributor to U.S. commissaries and exchanges in the world. 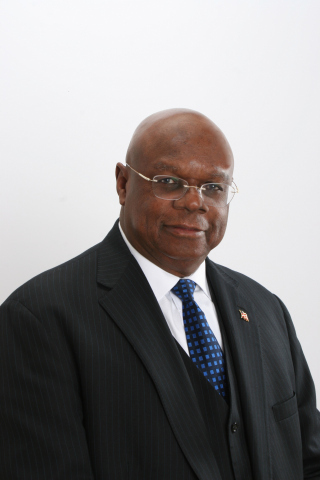 Proctor currently serves as managing partner of Proctor & Boone LLC, a business consulting organization, and senior logistics consultant in the Department of Defense Business Group of Intelligent Decisions, Inc., where he has worked since 2006. He is also chief executive officer of ProMar, Inc., a small business in Northern Virginia. Read Proctor's full Savoy profile: http://savoynetwork.com/mibcd2016/major-general-hawthorne-l-proctor/. Savoy's 2016 Most Influential Black Corporate Directors list includes 300 leading Black executives who are making or have made significant inroads within their companies to foster inclusion and to broaden the discussion about the importance of diversity on the bottom line. The Savoy summer issue includes a cover story on Richard D. Parsons and a tribute to Muhammad Ali and is available on newsstands today. SpartanNash (Nasdaq: SPTN) is a Fortune 400 company and the leading food distributor serving U.S. military commissaries and exchanges in the world, in terms of revenue. The Company's core businesses include distributing food to military commissaries and exchanges and independent and corporate-owned retail stores located in 47 states and the District of Columbia, Europe, Cuba, Puerto Rico, Bahrain and Egypt. SpartanNash currently operates 160 supermarkets, primarily under the banners of Family Fare Supermarkets, Family Fresh Markets, D&W Fresh Markets, Econofoods and SunMart.